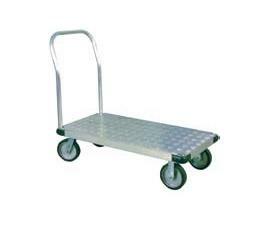 Thrifty Plate Aluminum Tread Platform Trucks | David's Inc. Structural capacity of any size platform not to exceed 2400 lbs. for Commercial Quality and 1200 lbs. for Light Duty. 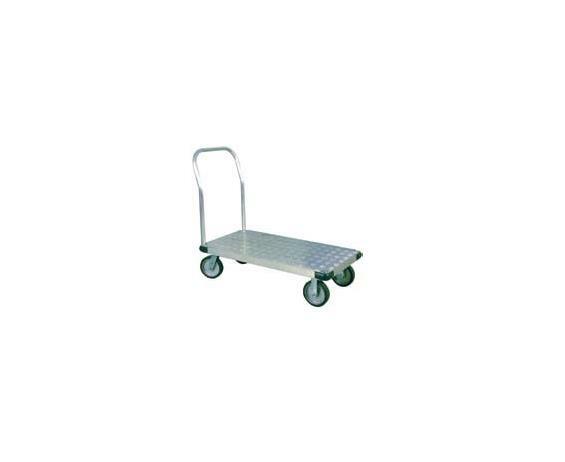 Platforms and casters sold separately. Casters determine capacity. Each caster set includes 2 rigid and 2 swivel casters. One handle included, extra handle available. FOB Shipping Point. Actual capacity of assembled platform is dependent upon caster capacity and should never exceed the platforms structural capacity.